Building tools to make soldiers more deadly is a far cry from the nascent consumer market for augmented reality. But the army’s program has also drawn interest from Microsoft Corp., whose HoloLens is Magic Leap’s main rival. The commercial-grade versions of both devices still face significant technological hurdles, and its not clear the companies can fulfill the army’s technical requirements. If recent history is any guide, a large military contract is also sure to be controversial within the companies. Magic Leap declined to comment. Microsoft confirmed it had attended a meeting in which officials from the Army met with potential bidders. The Army's Contracting Command is currently reviewing proposals, said Ed Worley, a spokesman. The Magic Leap One device. Three people with knowledge of the process say that there’s widespread perception that Magic Leap is the favorite. They asked to remain anonymous, to avoid alienating the military or provoking retaliation by the company. "The competition is being conducted fairly, and no particular vendor has been favored over another," Worley, the Army's Contracting Command spokesman, said in an email. There are several signs that the Army had a particular company in mind when it began accepting bids. 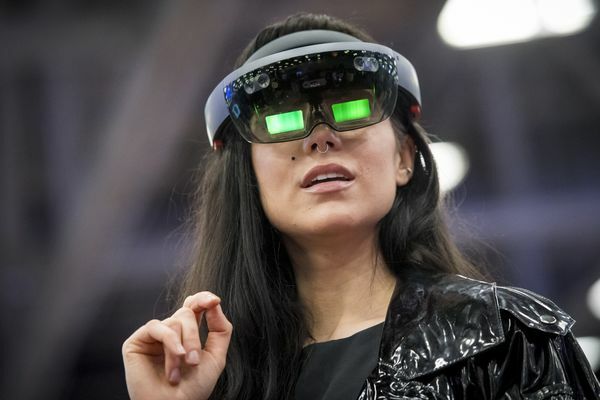 In March, Brigadier General Christopher Donahue told BreakingDefense.com, an online newsletter about the defense industry, that the army already had an industry partner to work on augmented reality headsets. “We’re not going to comment on the name — but we’re already teaming with them to build that prototype fairly quickly,” he said, adding that the Army intended to have a final prototype within 18 months. 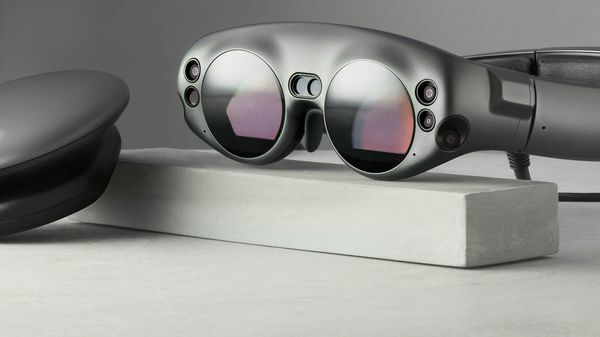 When the Army released its list of requirements for the program, it referred to waveguide optics, the exact technology that Magic Leap has been developing for years. It is using a bidding process set up for the armed services to do business with companies that aren’t traditional defense contractors. On Aug. 22, it put out a request for white papers from bidders, giving them until Sept. 7 to respond — an unusually short time for such a complex proposal, according to people familiar with the procurement process. The technology industry has a long history of cooperation with the military. But government contracts have become increasingly fraught lately. Alphabet Inc. employees protested its participation in Project Maven, a project to develop artificial intelligence for the military, leading the company to say it wouldn’t renew the contract. Employees at Alphabet’s Google also refused to work on a separate cybersecurity project that would have helped the company win military contracts. Amazon.com Inc. drew criticism for marketing facial recognition services to police departments. News that Microsoft was selling cloud software that could be used for facial recognition to the U.S. Immigration and Customs Enforcement Agency caused an uproar, and was soon followed by the company calling for new government regulations on that kind of technology. While Microsoft has already gotten some business from both the U.S. Army and the Israeli military using its HoloLens device for training, a significant combat contract would be a step up.